Talent Hub is proud to introduce a Podcast version of the fourth episode of the Talent Hub TV series. Here, Talent Hub Director, Ben Duncombe sits down with Salesforce professionals and thought leaders to learn more about their fascinating stories and market insight. In this podcast, Shane Williams, the Senior Manager of CRM for REA Group, joins Ben to catch up. As a leading digital advertising business specialising in property and which operates Australia’s No.1 residential property website, www.realestate.com.au, REA Group have a complex Salesforce environment. Shane shares with Ben what has been key to his team’s success, how a similar implementation has also been rolled out in the Asian business with the complexities that this brings, and how they approach maintaining a positive culture throughout challenging projects. Talent Hub Director, Ben Duncombe, chats building a successful in-house Salesforce team, and useful tips for Dreamforce with Shane. If you’d prefer to read this insightful episode, you can find the transcribe below. 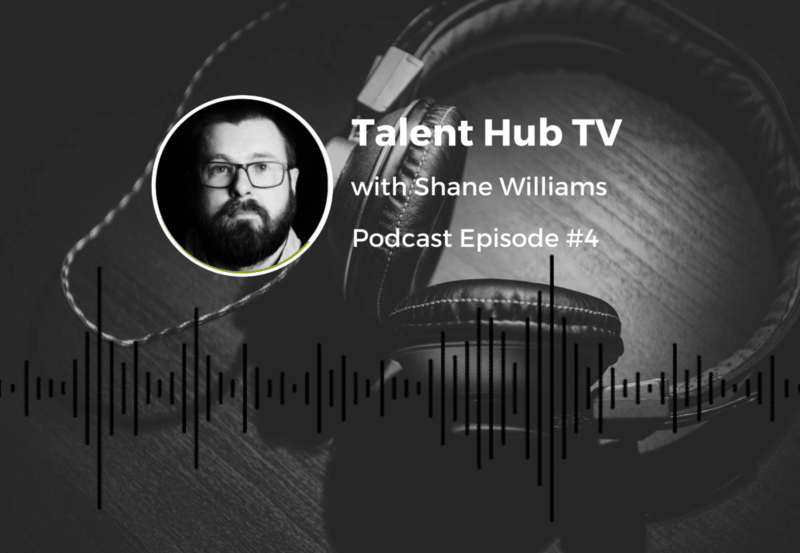 Ben: Welcome to Talent Hub TV Episode 4 we’re here with Shane Williams from REA Group today. We’ve got a lot to talk about, around what REA Group have been doing over the last 12-18 months, maybe a little bit longer, a bit about Shane’s career and what he’s looking forward to in the Salesforce space. So for the benefit of viewers, Shane, can you tell us a bit about your background, and your current role? Shane: Sure, so I was in media for close to 20 years. Everything from setting up call centres, to doing enterprise application deployments, and then I joined REA a couple years ago to head up the Salesforce practice. So this was your first, kind of, entry into Salesforce? No, no, so when I was at News Corp the last few years I was there, we obviously had a fairly large, extensive Salesforce implementations across our call centres and our advertising, media sales departments, so you know, thousands of users on those systems, and then that’s how I got into that, and then moved out to REA. Ben: Okay, so how long with REA now? Shane: Just coming up to two years. Ben: Okay and what’s been the journey over the last couple of years with REA and what you’re doing with Salesforce? Shane: Right, so when I joined REA, it had a previous sort of, small implementation of Salesforce which hadn’t gone particularly well. Fairly heavily customised, and so that, you know, creates the issues that you’d expect. And an opportunity for us to really sort of, let’s call it, springboard REA, and give it the scale that it needed to get off it’s legacy platforms, and enable it to scale up to, you know, thousands and millions of customers. And so we went on a 12-month journey in AUS to re-platform that existing, or rather replace, the existing Salesforce environment, spin that up, roll it out right across all of our sales people in Australia. And then for the last 12 months, we’ve been doing something similar in Asia. We acquired a couple years ago, a business called iProperty, which operates in five, six countries in Asia, and we spent the last 12 months, I guess, rolling out Salesforce integrated with NetSuite, over there. Ben: Okay, and so the first project was Australia, got that done, I guess, built a prototype, then to roll out to Asia? Ben: What was it that you were implementing initially in Australia and then in Asia? Shane: Right, so I guess both are slightly different. In Australia it was very much having, from an architectural perspective, it was Salesforce running our sales teams and our front-end for, you know, enabling sales. With NetSuite as our sort of, back-end ERP for invoicing, and then right in the middle, because we’re a fairly extensive, sort of tech workshop, we have a lot of developers developing, what we call our “core platform”. It’s kind of, is bookended by Salesforce and NetSuite, and that does all of our provisioning and advertising booking and so forth. Sure. In Asia, quite a different play. What we spent the last 12 months doing, was Salesforce and NetSuite directly integrated, with no platform in the centre. And that’s end to end leads through to cash. Contracting and quoting and provisioning, and then, you know, moving into next year, we’ll expand on that. Ben: Ok and, just going back to the beginning of the project, so you already had Salesforce at REA. Where did the appetite come from for the new project? Where was that driven from, and for other companies that are kind of, that have a Salesforce platform, that perhaps they’re not happy with, what considerations do they need to have before going into a big project like this? Shane: Right, so I think the initial implementation was, though quite technically brilliant, the challenge with that is, the heavy customisation on that platform, had really limited the ability to do things like migration to Lightning, the ability to scale, and some of the decisions that had been made for various reasons, in the business model that existed in the day, were really going to limit the ability for that thing to make sense moving forward. And it was also very specific to one of our lines of business, and we have several. And so the ability to then take that model that was very specific to one particular part of the business and scale that just, you know, horizontally, wasn’t going to work. And so some of the things we needed to consider were, when we move into an approach where we want to be able to service multiple lines of businesses, how can we talk to our business around the similarities across those lines of business, and why it makes sense to not heavily customise, focusing on a particular business unit. And trying to come up with a standard sales model, a standard model of customer, those sorts of considerations. And then the ability to obviously have some customisation that applies to, you know, a, in our particular business, customer who develops, you know, large scale properties or land, versus, you know, customers who are real estate agents selling residential properties. And so there’s the ability to tweak around the edges, but have a standard custom model. Ben: Okay, and what’s been the biggest challenge from the outset, for an Asia, or a global project? You know, you’re rolling out to multiple locations, what was the biggest challenge, getting started, and throughout the lifecycle of the project? Shane: So I guess the two biggest challenges are, and they’re fairly obvious. The first one is going to be the change management piece. You’ve got, you know, several hundred sales people in Australia, marketing, finance etc. and then, similarly in Asia, but you apply, we also have challenges around your multiple languages and multiple currencies, and those sort of things that you have to deal with. So I guess change management, and some of the technical components, and then I guess the other component, really, the bigger struggle for us, is people. The ability to scale to the size that we need, to be able to attract the right people, and get the right talent. Ben: Yeah so talking of talent, tell us a bit about your team and how that is structured, and I guess, the approach to structuring that team in the way that you have done. Sure, so we currently have one large team, roughly 20 people and we’re a very agile shop, so we have highly focused groups that we’ve actually separated into two squads, Australia and Asia, hyper focused on those particular businesses and the needs for those businesses. And then those teams are made up of a mix of functional consultants and developers, business analysts, product managers. And then supported by a Tech Architect who works across both. To try and just make sure that we’re applying best practice and that we’re making the right architectural decisions, particularly when we’re integrating to the various systems. Ben: Sure. And you’ve plugged gaps in the team, where you potentially don’t have the knowledge or skill set with consulting companies, and I know in the past, in previous companies, you’ve worked in, you’ve utilised consulting partners as well for projects, and big pieces of work, or again to plug gaps. So what’s your approach to that, and how do you weigh up the benefits of working with an in-house team compared to using consulting partners? Shane: Yeah so I guess my philosophy is, you want to be able to have your own internal people who are invested in your business, the values of your business, they can form sort of deep relationships with your customer and really empathise, and therefore provide the best solution. But if you’re starting a new program and you’ve got a limited amount of time, you don’t have necessarily the luxury of being able to spend that time building your team, and then starting the program. So my approach has been to bring in a partner, and say, right I need to be able to scale quickly, I need to be able to hit the ground running, and I need really experienced people with a breadth of knowledge across lots of different programs, so that we don’t make the same mistakes, or we don’t make a lot of mistakes ourselves, we can learn from those, but then over the course of the program to build our own team, bring in our own skills, skill those people up, and do a knowledge transfer, so that by the time that, I guess, the initial implementation’s done and we’re moving into now, expanding on that, and growing it, we have a team who’s dedicated, who’s bought into our philosophy at REA, is bought into the reason we want to make this platform successful, and has got some vested interest in that. And then, as we expand into, you know, the next phase of the program where we looked at, though, if you think about, in Australia, we rolled out Sales Cloud. For Asia, we did Sales Cloud and CPQ, and so our team didn’t have CPQ skills, for example. So again, out to partner network, to say right, we’re looking for a partner who has skills in this particular area. Bring those people in. Again, spend the next 12 months rolling out that application, but knowledge transfer, and building the team so that by the end of the program we have our own core competency. So there’s no reliance on the partner, you have IP in-house. There’s certainly value in having a partner, particularly when you need to be able to scale quickly, or you have new challenges that you’ve not seen before, and you just want to bring in, and say, hey can you give us another perspective? You’ve got people who have some really core skills in a particular flavor of one of the Clouds. And that’s useful, but I think it’s also critical for us to have our own people, our own culture, and that sense of ownership. And culture is one of the major things, when we’ve recruited for REA, it’s a big selling point, and you know, Salesforce projects are stressful, especially a large one like this. Ben: How have you maintained that culture in the team, and I guess picked the right people to add to the culture? Shane: So there’s probably two things. One is, being REA, we have that luxury of a fairly, let’s call it, strong culture within the organisation. There’s, you know, they have really modern offices, with baristas, and bring your dog to work, and all the sorts of things that attract talent. Ben: Do you bring your dog to work? Shane: I haven’t personally brought my dog to work, but I do occasionally take the luxury of going and sitting with people who have their pets, and that’s pretty exciting. You know, and so we have this culture where we encourage that sort of behaviour, those sorts of, try and attract the right talent. And try and encourage that sort of culture, so that’s, I guess a luxury that I just get to leverage by being part of REA Group. Yeah. But then within our own team, we encourage, it’s an interesting one, we would, loosely we call the concept “fun police”, but each fortnight, or each iteration, or sprint, we have two people who are nominated, and they have a task of creating five fun activities for the team. That might be a team lunch, might be going down to the park to play a game of cricket during lunch time, it might be celebrating a birthday, it could just be, someone says “I’m just going to bring in a board game and we’re going to play it Friday afternoon with some beers”. I leave it entirely up to those guys to decide how they want to manage it, give them the autonomy, and you know, a notional budget to do something with, and then we have a Trello board where all we do is, just take photos of all the fun things that we’ve done and put them up on the board, which flashes up, rotating between our Trello boards where we’re doing our active work, versus that, just to remind the team when we’re really stressful, we’re really pumping, and you know, we’re yeah, at that time when it’s, particularly, you know, not great, that 30 seconds later, there’s all the photos of all the fun things we’ve done for the last six months, and “oh wow, it’s not all, you know, bad”. Ben: Yeah for sure, makes sense. Okay, cool. And looking, kind of, not looking at projects now, but looking at more operational. In your previous company you were responsible for a big user base of Salesforce users, and lots of kind of ongoing support and enhancements of a platform. What did you learn from that kind of environment, from operational, and looking after a big user base, and a big platform of Salesforce? Shane: So it’s an interesting one, I think there’s a there’s a level of expectation you need to set with the customers who are using your platform, to make sure that, not only have you got enough capacity to maintain business and make sure that your customer base is not hamstrung by your inability to service them. But also just setting that expectation to say, you know, we are a small core group, we know your business is important and we’ll prioritise things, but thinking about a day in the life of the sales person, what’s most important, and not necessarily responding to every single request that comes in but making, having true product managers who understand the business well enough to be able to make a priority call about is this really a critical thing, or is fixing this high-priority incident more important, or prioritising, you know defects over functionality, and what makes sense. And so it’s not easy, it’s a case of making sure you’ve got the right amount of capacity in your team to just do break, fix, service type stuff, enough capacity in there to do minor enhancements to keep the business moving, and then really having that change champion network out in the business to do their own, sort of helping each other. To sort of stem some of the requirement on your group. But then setting expectation about what’s really achievable and what works within capacity. Ben: Okay, and back into ‘project view’, what’s the roadmap here for the next kind of, 12 or so months? Shane: It’s pretty exciting. Domestically we, and when I say domestically, so in Australia, we have a fairly extensive roadmap, we’ve got a conversion to Lightning, which is, in Australia we have, we started out with Classic, a lot of the capabilities that we wanted to use in the platform at the time weren’t ready, as they are now, so there’s a conversion to Lightning, and we’re also doing a little bit more integration with some of our purchasing self-service systems, so we can start to service of that data back, and we’re looking at how can we incorporate, we have the concept of consumers and customers, customers being real estate agents and agencies, and then consumers, and starting to think about, well how can we scale up to, rather, how can we modify our data model, to be able to scale up to be able to service a lot more than, a lot more customers in the one platform. Internationally is where it gets really exciting, so Internationally, as I said, we’ve built Salesforce and NetSuite talking to each other, to do end to end leads into cash. In parallel with that, our business also re-platformed their entire consumer websites, right across Asia, and that’s across the five countries to give a similar experience across mobile and web, and so this coming year, it’s about re-platforming all of our customer tools. And so that will be the tools, the mobile, websites, and the apps that our real estate agents and the people who are listing properties on site will use. Re-platform all of that, and then as, I guess, the, there’s then the, this is no longer a consumer place, now are customers, so how will we integrate that with the Salesforce implementation that we did this year? How do we give self-service to customers via that platform, using Salesforce data, and integrating that together. And then integrating the ability to list properties, and all that sort of thing, and maintain that view of a single customer in spot. Ben: Okay, so plenty of work ahead. Ben: And we, although we’ve been working together for a while, we first met at Dreamforce last year. You’re a bit of a veteran of Dreamforce, you’ve been to a few now. So for anyone going this year, maybe their first year, what’s your biggest tip and piece of advice? Ben: So the first one is that, keep an eye on the Partyforce app. That will tell you all the different events that are happening, and where to check those out, and to register for them. A lot of these things you need to register for, because there’s something like a hundred and seventy thousand people trying to get into them. The second one is when you’re looking at the agenda planner, the tendency will be to try and cram in as many things as you can and try and cover as many topics. It’s nigh on impossible to get to that many things, and some of these venues are all over town, you’ve got to walk between them. Yes you can catch buses, but it’s just, you’re better off walking, and literally you can be going from one session to the other side of town, and then back again. So really think about where the venues are you want to get to, don’t try and plan any more than about three or four sessions in a day, because if you try and plan any more than that, you just won’t get to them anyway. And then probably the biggest tip will be to get yourself the biggest portable battery charger that you can get, because your mobile phone will go absolutely flat by about, you know, 11 o’clock in the morning. Ben: And what keeps you excited about the Salesforce space, the ever-changing, kind of, growing Salesforce market? Shane: I guess the ability for us to leverage the new capabilities that Salesforce is bringing on, allows us to focus more on quickly delivering those benefits to our end users, where they’re having to think about building them. And so you know, recent acquisition, I mean the SteelBrick acquisition, we quickly then jumped on and we rolled out CPQ in Asia. We were already a MuleSoft shop, but now that that’ll get, I imagine that will get, far more closely integrated, and complementary skills, across the two and that sort of stuff. So I think it’s really about as the Salesforce platform evolves, the ability for us to bring those benefits directly to our, I guess, our customers, it being our salespeople, quicker and faster. Ben: Okay, perfect, well thank you very much for your time. Ben: It’s been a pleasure, and I look forward to seeing how the journey continues at REA. Shane: Thanks mate, see you at Dreamforce. To find out more about the Salesforce CRM platform and Salesforce careers in the Australian market, you can check out our live roles here. We’re giving away a trip to Dreamforce in San Francisco to one lucky winner passionate about Salesforce log in to make sure you find out how to WIN!